My last event for the year so come on down and make some new friends over random board games and idle chit-chat at Spellbound games. Spellbound has a decent selection of games but it would be awesome if you could bring your own, doesn’t matter how old school it is, always keen for a round of monopoly. But yeah if this sounds like something you’d be interested in, don’t hesitate to join. You see a Geek is an expert, enthusiast or a person obsessed with a hobby or intellectual pursuit mostly aimed at popular culture (Thanks, Wikipedia). However, there is more to Geeks than meets the eye. You see to me a Geek is a creative genius bordering on insanity and the only way to fend off the madness is by going to see the next Marvel movie or playing copious amounts of video games or even just a quiet night in pretending to be an Elf from Neverwinter. But because of these interests, we tend to stay indoors a lot as we play Overwatch while watching Game of Thrones that we don’t have the time to venture out into the real world and meet up with people that might want to do the same stuff we do—and that’s where we come in. 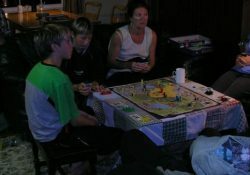 Peter and Suse are keen board and card gamers. We have a collection of mostly “Euro Games”, for example Euphrates & Tigris, Elfenland, Puerto Rico, La Citta, El Grande and many more. 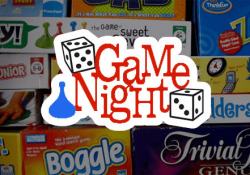 We also have some lighter, fun games. Suggest meetings at our house since it eliminates moving a truckload of games around, we can easily do two tables at a time. If some members should find it convivial, we could arrange dinners together before an evening’s game(s). 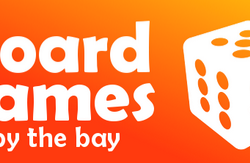 The New Zealand Chess Championship is 1 game/day while the New Zealand Rapid Championship is 9 games over 2 days. 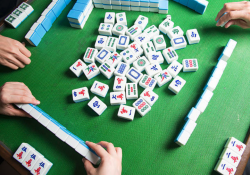 Hurry hurry, calling all mah jong players – there are only 3 weeks left for you to register for our terrific TransTasman tournament here in Upper Hutt, October 15-19 2018. For only $120 you can play four mornings, experience a Meet and Greet on the Sunday evening, and a lavish lunch for the prize giving on Friday; there are also extras you can book for – some wonderful side trips, including a Mystery Trip; a chance to sample some of Brewtown’s (our new name) award winning craft beers; and a full day out around our lovely region. Two days of full-on Backgammon. October 6th: Standard Swiss Format. All participants are guaranteed to play 5 – seven point Matches. October 7th: Top 16 Players from the Swiss Format will play Knockout Matches. A Consolation Tournament will also be played on October 7th for all those who did not make it into the Knockout Match. You do not have to be an Expert to enter the Tournament. You are guaranteed to play at least 5 – seven point Matches against Players whose skill range is Expert to Novice. 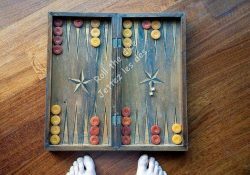 It is a lot of fun and a very excellent Backgammon learning experience. Give it a GO. 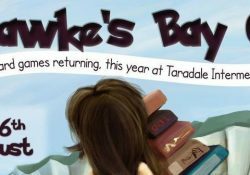 The board games are coming back to Hawke’s Bay in the last weekend of August! 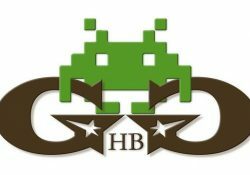 Our goal is to encourage people of all ages and skill levels to come and enjoy a wide range of board games – Mars colonization, space cowboys, trading, social deception, puzzle solving, and war gaming – we’ve got it all. A large gaming library will be available at the venue, alongside several casual and competitive tournaments, spot prizes, raffles and stalls. And if you like escape rooms, we’ve got a special surprise for you! Keep an eye on the event and the newsfeed – we will keep you posted with the coming up agenda. Our friendly volunteers will be there to talk you through the games you haven’t played before and make sure you meet like-minded people and have a great time. Adults: $10.00 per day pass, or $15 for two days. Under 16s: free with accompanying adults.